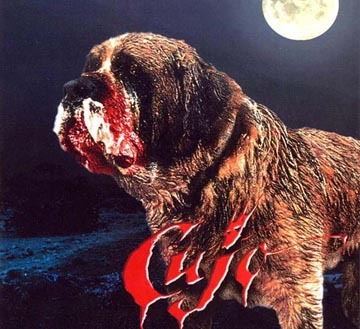 It’s time for the dogs of summer to raise their ugly heads, and no better place to begin than with Stephen King’s novel about a rabid St. Bernard. This leads us quite easily to look at the sub-genre of horror film: Natural horror. Whether it’s ravenous man-eating ants (Empire of the Ants, Them!) or mutated beasts (Prophecy, Eight Legged Freaks) or killer sharks (Jaws, Deep Blue Sea) or some virus out of control (Outbreak, 12 Monkeys) or killer plants (The Ruins, Little Shop of Horrors), nature is always ready to provide some thrills to the humans around them. Why do we respond so fearfully to these creatures of nature? I feel it’s because we know that once we get out of our comfort zone, we are vulnerable. Why do you think so many horror movies are set in isolated locales? And as William Wordsworth wrote, “The world is too much with us.” We’ve lost our connection with nature, so when nature turns on us, we feel completely vulnerable. 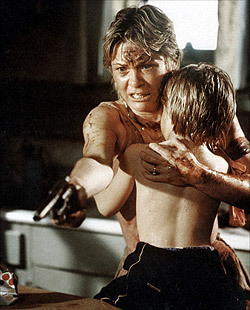 In Cujo, a large part of the narrative is about a woman stuck in a car trying to protect her son from a rabid dog. That’s not as farfetched as radioactive giant mutant ants eating us. Dogs go rabid all the time. Add to that they can reach weights of 210 pounds, then you’ve got a venerable threat. 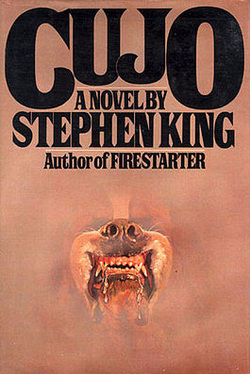 It’s not without a twisted sense of irony that King chose this dog breed for his narrative. These dogs are traditionally seen as helper dogs, even rescue dogs. But that’s King’s genius as a story teller. A good story teller can think of something scary to frighten us with, but a great storyteller takes something everyday normal and uses it in a way to terrify us. The Korean horror movies love doing this. They take technology like cell phones and build ghost stories around them so that Korean students become scared of their own phones. 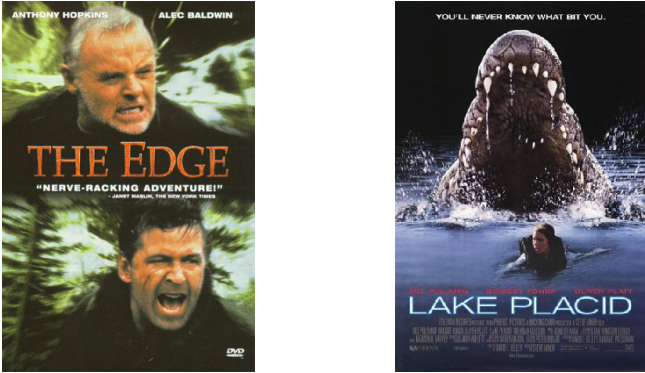 Alfred Hitchcock did it with The Birds, Lake Placid did it with an alligator, The Edge did it with a bear! Yu can take your pick of shark movies; there’s plenty of them! 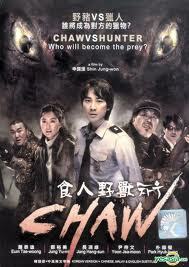 If you really want a hoot, you should check out the Korean movie Chaw! 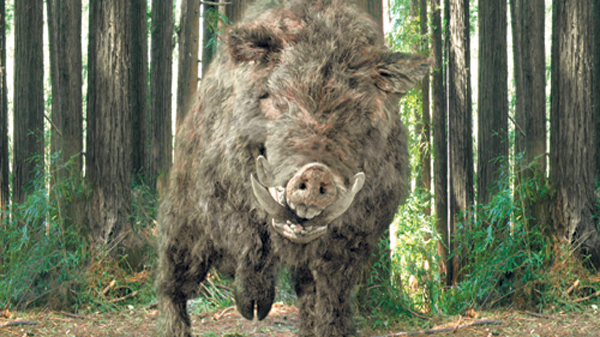 It’s about a wild pig that terrorizes a town. It’s a total rip off/homage to Jaws (thus the name) but it’s a hoot! 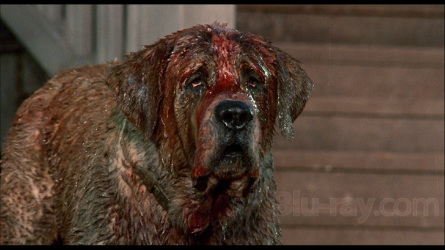 This is also an area King liked to visit again and again: Creepshow (the cockroaches), The Mist, Cujo, Pet Cemetery, and The Stand (a virus). He likes to show man’s helplessness in these situations because he knows that’s one of our deep down fears. I don’t know about you, but I don’t want to square off with a 200 pound, rabid dog. And King knows that! These are the narratives that depend on something in nature to scare us.